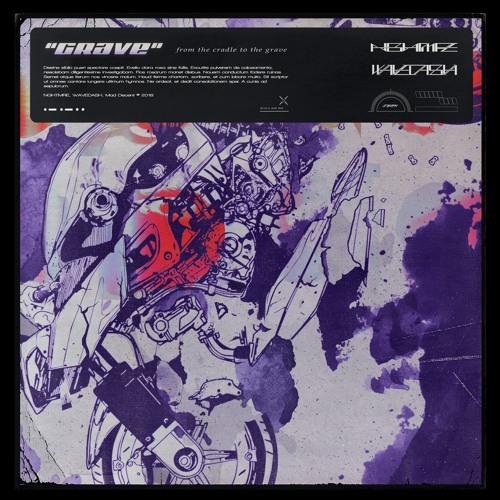 Home / brand new / música / NGHTMRE / WAVEDASH / NGHTMRE & WAVEDASH Drop Iconic New Bass Track "Grave"
NGHTMRE & WAVEDASH Drop Iconic New Bass Track "Grave"
LA-based DJ/Producer NGHTMRE has teamed up with Austin-based electronic trio WAVEDASH to deliver an iconic new bass track called Grave, out now via Mad Decent. This monstrous bass-driven track is packed with so much energy that will keep you dancing! I am loving the stabbing percussion, lacerating synths and its menacing underlying bassline. The piano keys give the song a nice touch before it explodes into a party starting song. If you've got some pent-up anger this one is perfect for you to unleash it. Stream Grave below and enjoy!